About his photographs Andreas Trogisch says:›In the end it is only light and dark spots on paper, that evoke various emotions.‹ Six photo folders and lately the big book REPLIES have already been published by Peperoni Books, filled with run-of-the-mill motifs which left us marveling and puzzled. The mystery of the banal. I do not understand the world anymore. No one does. 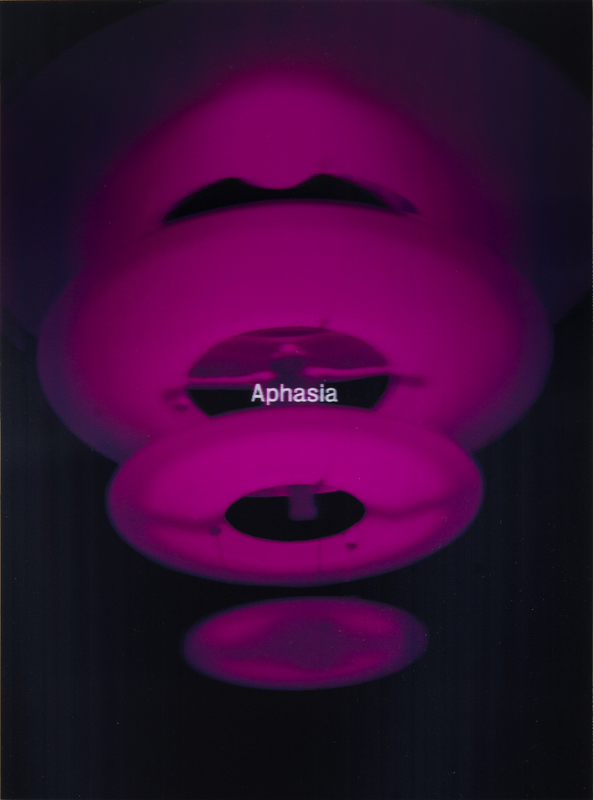 And here comes APHASIA. A slim volume, 22 fuzzy images and a cover in 3D - but now I understand what Trogisch meant with the ›spots‹. A house, a table, a tree, an arm, a deer, a box, a fish, a bicycle. You may have ideas of all these things - but not the ones Andreas Trogisch shows us. Abstraction? Forget it! Imagination? Maybe. Oh dear, I just do not know how he does it, but I am grateful that they exist, the images, the spots and the emotions.